Serves 4: Melt in a pan 80 grams. mixing of butter and add a tablespoon of flour. Then add 200 grams. of cream, 130 gr. 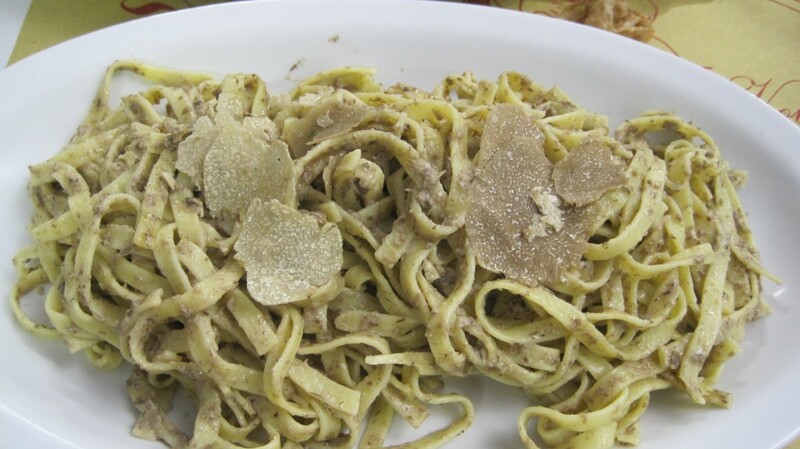 of “Cream White Truffle, white pepper, salt, a tablespoon of brandy e30 gr. grated Parmesan cheese. Stand in the same pan 400 grams. of boiled noodles.